145 Years Old, Mbah Gotho is older than the Eiffel Tower. 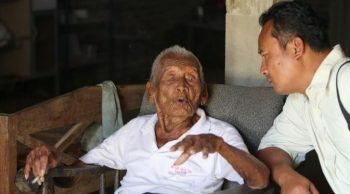 Mbah Gotho Believes he is 145 Years Old. As the first Trans-Continental Railroad celebrated its first year in operation, an Indonesian couple in the central part of the island of Java did some celebrating of their own. Nine months later, Mbah Gotho was born on December 31rst, 1870. His birthdate, which has recently been confirmed by the Indonesian government, makes him 145 years old. If proven true, he would far surpass the previous world record holder for oldest person ever, Jeanne Calment, who lived to the verified age of 122. There are, of course, problems with the claim. First, the Indonesian government has only been keeping valid records since the 1900’s, and they have admitted to making errors in the past. Second, the claim will need to be verified by an independent body in order to place Mbah Gotho in the record books. There have been several claims over the years to have surpassed Jeanne Clement’s record, but none to date have proven true. At his advanced age, Mbah Gotho is not too concerned with fame. In fact, he prepared a tombstone for himself in 1992, expecting to die. That was 24 years ago. “He is still a heavy smoker,” his grandson says. Evidentally, Mr. Gotho is not too concerned with his health. Let’s Put Mbah Gotho’s Claimed Age Into Perspective. 1870: Franco-Prussian War. Mbah Gotho was a newborn. 1886: Statue of Liberty is Dedicated. Mbah Gotho was 15. 1889: The Eiffel Tower is Completed. Mbah Gotho was 18. 1912: Maiden Voyage of the Titanic. Mbah Gotho was 41. 1914: World War I breaks out. Mbah Gotho was 43, too old to serve in most armies. 1920: Women’s Suffrage is passed in the U.S. Mbah Gotho was 49. 1929: U.S. stock market crash. Mbah Gotho was 58. 1941: Attack on Pearl Harbor. Mbah Gotho was getting ready to celebrate his 71rst birthday. 1945: The first use of the Atomic Bomb. Mbah Gotho was 75 years old, ten years older than the average life expectancy of an American at the time. Watch the BBC interview with Mbah Gotho. 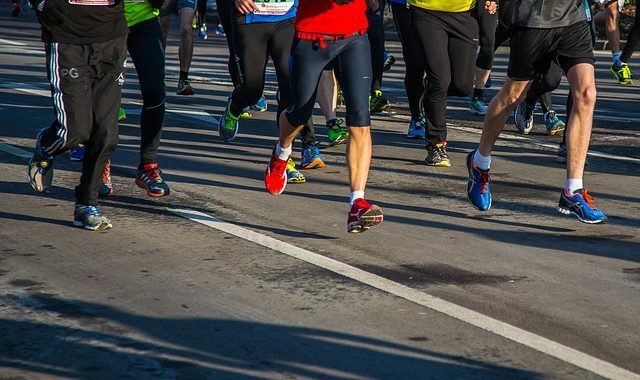 Jim Henry: A Story of the Perseverance of the Human Spirit Through Time. 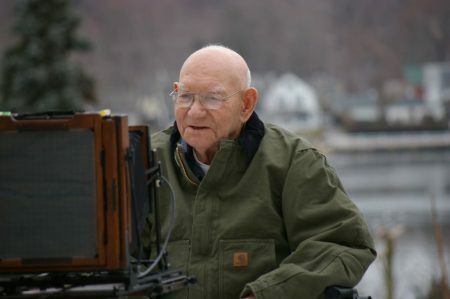 next post: Jim Henry: A Story of the Perseverance of the Human Spirit Through Time. Our mission is to promote hospice awareness and education. Hospice is about life, and we believe strongly in the need to bring this subject to the forefront of the national dialogue to eliminate the stigma surrounding this most noble of disciplines. Our mission is also to connect patients with providers. Our nationwide network of hospice providers are just a click away. How Does Hospice Work? 5 Steps to Help You Prepare. What Are the Top 10 Causes of Death in the US Each Year? Copyright 2016 Primary Wave Media - All Rights Reserved.